The amount of Condos for sale are up 287% from last year. The NWMLS is reporting there are currently 609 condo units for sale now compared to 157 for June 2017. This is the highest level of condos for sale in Seattle since Oct 2012. Buyers are now seeing plenty of options and is a welcomed changed compared to records lows from about a year ago. The months supply for Seattle condos are up 366% to 2.8 months compared to .06 months just a year ago. How does this effect Pricing? The added inventory is bringing the prices of condo sales down. Condos are still up 6.7% since last year but has come down considerably since the height of the market back in May when the average price was $542,500, the average price for a condo in Seattle is now at $484,500. How long does it take a condo to sell? Average days on the market is up 175% to 22 days. Sellers are starting to undercut other sellers to get their units sold. 22 days is still a pretty low number but back in May everything had a review date for offers and more times than not there was a bidding war that escalated up the sales price. Is it a good time for buyers? If we all had a crystal ball it would be easy to answer. Last week the NWMLS is reporting that only 5 new units were listed in Seattle but 42 have sold and another 34 went pending. This has been the trend for the last 3 weeks and if it keeps up, the market is going to turn around sooner than later. It is in between the holidays though, so I would expect a lot of listing to be coming up in the next couple of months. It's a little early to tell where the market is going for 2019. One thing is certain though, there are a lot of choices for buyers out there right now. Go to Findourpad.com to search for you next home for sale. 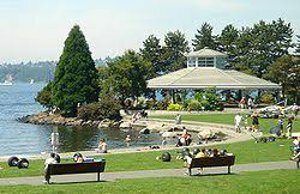 Kirkland is a great place to buy a home and is still not only holding it's value but the prices are actually still going up. The inventory has went up but there is still enough buyers in the Kirkland market that the price keep increasing. Homes and condos on average are selling for the listed price. It is down since April when the average was a couple points higher than the listed price. Click on the link to see the homes for sale in Kirkland. Kirkland condos are still on the rise also. Whether your looking for condos for sale in Kirkland or are searching for luxury waterfront condos the prices are still increasing while other parts of Washington state are leveling off and going down in a lot of areas. On Average the price per sq. foot is at $424 per sq foot while back in May when most of the surrounding areas topped out, Kirkland condos were selling on average for $386 per sq. feet. Median sales Price for Seattle Condos For Sale. Graph shows the price dropping since the real estate market peaked in May 2018. The graph below shows a steady increase of inventory since Jan. The days it takes to sell a Seattle condo has been increasing each month since May 2018. The low was around 6 days and now Seattle is sitting at around 26 days on average. As inventory stack up in Seattle we are seeing a really big increase in the months of supply. It used to be less than a month and now we are already at almost 4 months of inventory. This graph shows that buyers are finally able to negotiate on the price a little bit. On average homes are selling for 98% of the listed price compared to about 6% over the listed price a year ago. This graph shows the price per sq. foot for Seattle condos dropping. We are seeing more price drops that new listings which means Seattle condo sellers are getting very aggressive with their prices to unload their units. We also have been seeing only about 1/2 the units sold each month compared to the listings coming onto the market. Prices to continue to go down. Condo inventory to go up. Days on the market to increase. Price per sq. foot to go down. 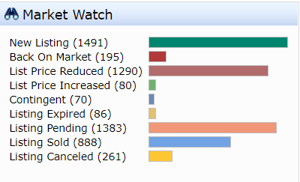 In the last 7 days there have been more price reductions than new listings. Listing have increased by 42% in the last 7 days. The graph shows homes prices are still increasing in Seattle. I expect this graph to change direction next month due to lack of pending sales and price drops. The trend so far is an explosive amount of home listings coming onto the market and a lot of buyers fleeing for the hills. The last month reported was for September. I would expect this number to drop as well. With more listings coming onto the market and less buyers this graph should continue North next month. The days of every home having multiple bids is over for now. We are seeing more price drops than listings coming onto the market. I would expect this graph to keep heading South. This graph shows the price per sq. foot dropping and the sales price should drop with this this graph in the following months. Earnest money also known as good faith is something of value you give to the seller after a contract is accepted to confirm the contract. 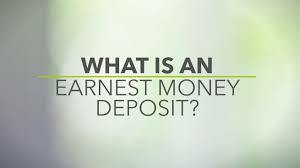 Earnest money is used as leverage for the seller to hold a buyer to the contract. Earnest money is tied to the sale of the purchase and the seller can keep the earnest money if a buyer gets cold feet and decides not purchase. How much earnest money do you have to put down? You have to put down something of value. It can be a $1.00 or even a piece of jewelry. The sellers gets to decide if the amount is sufficient. The typical rule of thumb is 1% of the purchase price. Home buyers may put down more if they are competing with other buyers and they want their offer to stand out. When earnest money is due depends on your contract. Typically it needs to be deposited within 2 days of mutual acceptance of a contract. The real estate contract should state who holds the earnest money. Typically it's the escrow office handling the sale. When the property closes the earnest money will go towards your closing cost or the down payment. In the event that a buyers doesn't have closing costs or a down payment then the earnest money would be refunded back to the buyer. Where does the earnest money go if the sale doesn't go through? If the buyers have contingencies then they will be tied to the earnest money. For an example the buyers might have an inspection contingency. The buyers complete their inspection and find out that the home needs a new foundation and they no longer want the home. They could get out of their contract and receive the earnest money back as long as they respond back before the contingency expires. If the buyers get cold and just want out of their contract and don't cancel based on one of the contingencies then the seller can keep the earnest money. The Seattle real estate market is slowly starting to cool off. We are still seeing a lot of full price offers and bidding wars but not like it was a few months back. The last week Seattle has 319 new listings and 34 homes back on the market. 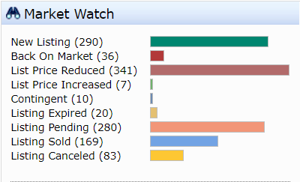 The same period there were 196 listings sold, 44 canceled, and 13 expired. That equated to over a 100 new homes just last week that the week prior. These stats are for all of Seattle for home and condos. Since last year the median sales price in Seattle has went from $564,000 up to $698,000. In June of 2018 it was $691,600. The prices are still headed up word according to this graph. Last July we had 12,458 single family homes and condo for sale. The July we had 13,012. Not a huge difference but the graph appears to be climbing at a fast rate. Definitely a sign that the Seattle real estate market for 2019 is starting to soften. The Days on the market are the same as last year at 8 days, which isn't a lot of days but note where the graph is pointing. This is another indication that the Seattle market could be shifting. This graphs shows the months of supply for the Seattle market. If no other homes were listed it would take .90 months to run out of houses. That number is really low compared to almost all other real estate markets. It shows that the market is still really strong. If the market shifts that number will keep creeping up. This is a great indicator to see what the current market is doing. This graph show how much on average that homes in Seattle are selling above or bellow. The peak for the Seattle market was April & March and home were selling on average for 2% over. Currently we dropped down to an average of 1% over the listing price but the graph is starting to point downward. Yet another sign that the market may be slowing down. Please check back on our home page at findourpad.com as we will be posting more stats to keep you informed in what's happening with the Seattle market. My Seattle real estate market forecast for 2019 is that it will continue to slow down which is good news for buyers. There are still plenty of people moving to Seattle and our job force is very healthy so I don't really expect prices to take a nose dive. Hopefully we will get back to a more normal market and keep climbing slow and stead. Try out our home search which is updated every 15 minutes. You can search for condos by going to the Seattle Condos page or go to our home page to start your own custom search. Supply is still dropping and price per sq. foot is rising.